Lyme disease infects a minimum of 300,000 people per year in the United States and millions more throughout the rest of the world. Symptoms run from mild lethargy to severe arthritis to heart disease to incapacitating mental dysfunction. Although tests have improved over the past decade, they are still not completely reliable, and antibiotics are only partially effective. Up to thirty-five percent of those infected will not respond to antibiotic treatment or will relapse. The spirochetes that cause Lyme are stealth pathogens—they can hide within cells or alter their form so that our immune systems cannot find them, as well as inhibit the effectiveness of antibiotics. Lyme disease is, in fact, a potent emerging epidemic disease for which technological medicine is only partially effective. The coinfections that accompany Lyme are often as, or more, incapacitating than Lyme itself. Worldwide, hundreds of millions experience infection with babesia, bartonella, ehrlichia, anaplasma, mycoplasma, chlamydia, and the spotted fever rickettsiosis. Healing Lyme examines the leading, scientific research on Lyme infection and its tests and treatments, and outlines the most potent natural medicines that offer help, either alone or in combination with antibiotics, for preventing and healing the disease. The book has been a bestseller for over a decade, and during that time the author has had contact with over 25,000 people who have used some form of these protocols during their healing journey. This edition has been significantly updated, fully revised, and expanded to reflect the increased understandings from that extensive contact, including depth-treatment experiences with hundreds during the past decade.Healing Lyme is the primary text in print on what Lyme bacteria do in the body and how natural approaches can heal the disease. It is the first book in print covering depth understanding and treatment of chlamydial and rickettsial coinfections. 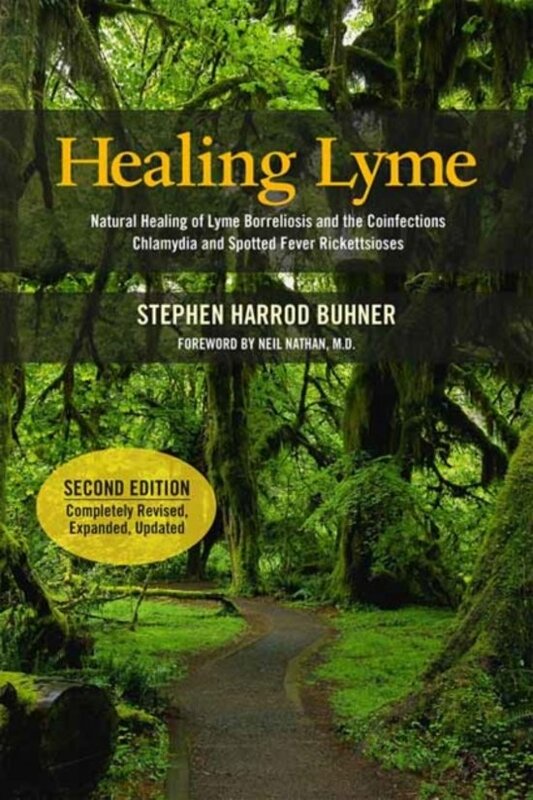 This new updated version of Healing Lyme joins the author’s other two books on the treatment of Lyme coinfections (babesia, bartonella, mycoplasma, anaplasma, and ehrlichia) and completes his exhaustive work on these stealth pathogens. Het boek geeft eerst een nauwkeurig maar vrij technisch beeld van hoe deze vreselijke ziekte ontstaat, de verschillende soorten Borrelia en hoe de bacterie zich verspreidt (ook via het weefsel!). Daarna gaat het uitgebreid in op verschillende kruiden en supplementen die helpen tegen Lyme, afhankelijk van de symptomen (vermoeidheid, concentratieverlies, gewrichtspijnen, etc.). Het boek is allesbehalve tegen Anti-Biotica B ('1e keus') maar stelt dat je Lyme in een later/chronisch stadium (al dan niet aanvullend op AB) ook met andere middelen moet bestrijden voor een lange periode (8-12 maanden). Het is wel een puzzel om alle supplementen te vinden in Nederland en er komen steeds nieuwe inzichten. Het is daarom nuttig om ook te kijken naar vergelijkbare protocollen. Healing Lyme, géén modern sprookje! Dit boek aangeschaft voor schoondochter met ziekte van lyme.